Costello was the most popular stallion in 2017 with 116 covered mares. This was his first year standing at stud. Former “matadors” Viesker and Liising weren’t available this year. Liising died and Viesker’s owners have decided that he has earned his retirement days after about 1500 offspring. Viesker was born in 1989 and his first crop was born in 1997. Sipori got the second place with 78 mares and Fiiling placed third with 76 mares. Altogether there are 1744 reported coverings this year, so about the same as in 2016 (1766). 70 % of these mares were covered by J (trotter)-stallions. R (riding horse) section placed second with 17,7 %, P (pony-sized finnhorses) third with 3,6 % and T (work horse) section fourth with 3,3 %. 95 mares were covered by stallions that have not been inspected for studbook (5,4 %). These foals, if purebred, will be registered as Finnhorses, but they won’t be able to compete in harness racing unless both of their parents have the same owner. Categories: Breeding & pedigrees | Tags: breeding, finnhorse, Horse breeding, stallion, statistics | Permalink. Scandinavia’s most beautiful horse deserves a beautiful book. The Finnhorse – Our National Treasure is a work long anticipated by Finnhorse enthusiasts. It presents the Finnhorse as the world’s most versatile coldblood with characteristics beyond compare. Expressive text and stunning photos paint a picture of our national treasure as a multi-skilled riding, breeding, draught and race horse, and man’s most reliable friend in every season. The Finnhorse – Our National Treasure is an unforgettable gift for friends of the Finnhorse. 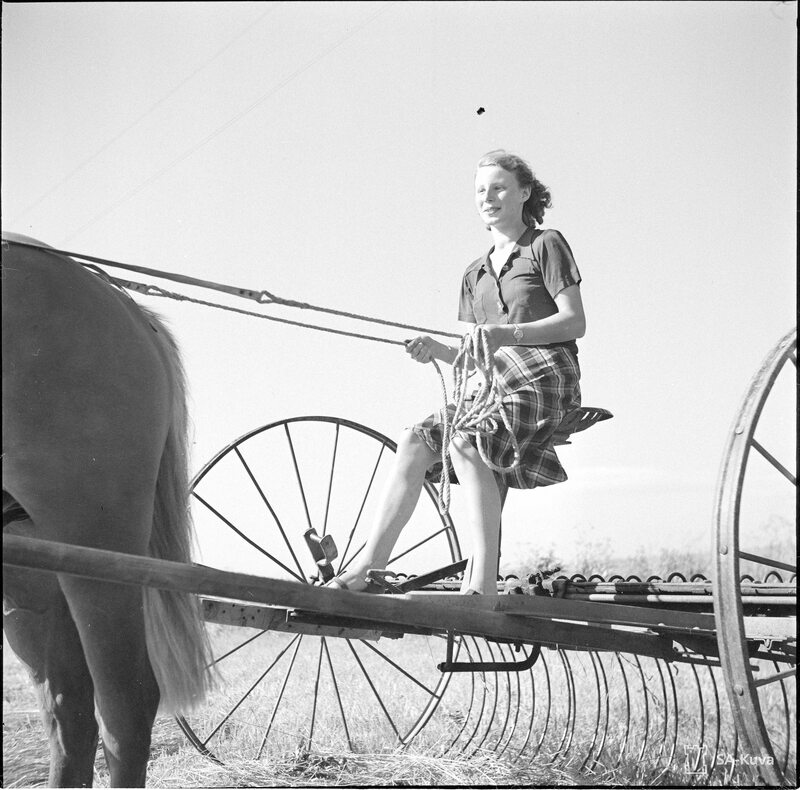 Marianne Ketelimäki is a photographer and a passionate horse enthusiast. Sanna Karppinen is a non-fiction author whose heart was stolen by horses already as a little girl. The horse has its place in the modern society. Finnhorse – Our National Treasure is a beautiful book with 96 pages of big, expressive photographs by Marianne Ketelimäki and short, compact paragraphs of text by non-fiction author Sanna Karppinen. The book includes basic information about the breed, but focuses mainly on the photography. 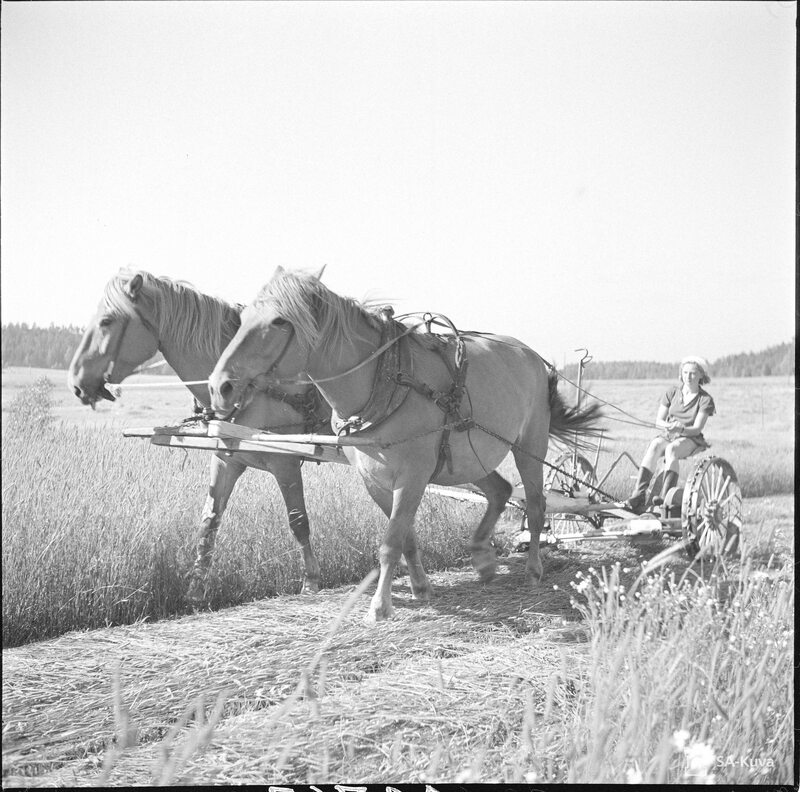 Why describe it in words, when you have tons of beautiful photos to show the incredible versatility and beauty of the horse in the Finnish nature? It’s light to read, and won’t make you an expert on the subject, but doesn’t aim to that either. You could say, it gives you a first impression about what makes this breed so important to us Finns. What is the Finnhorse made of? My guess, mostly “sisu”. 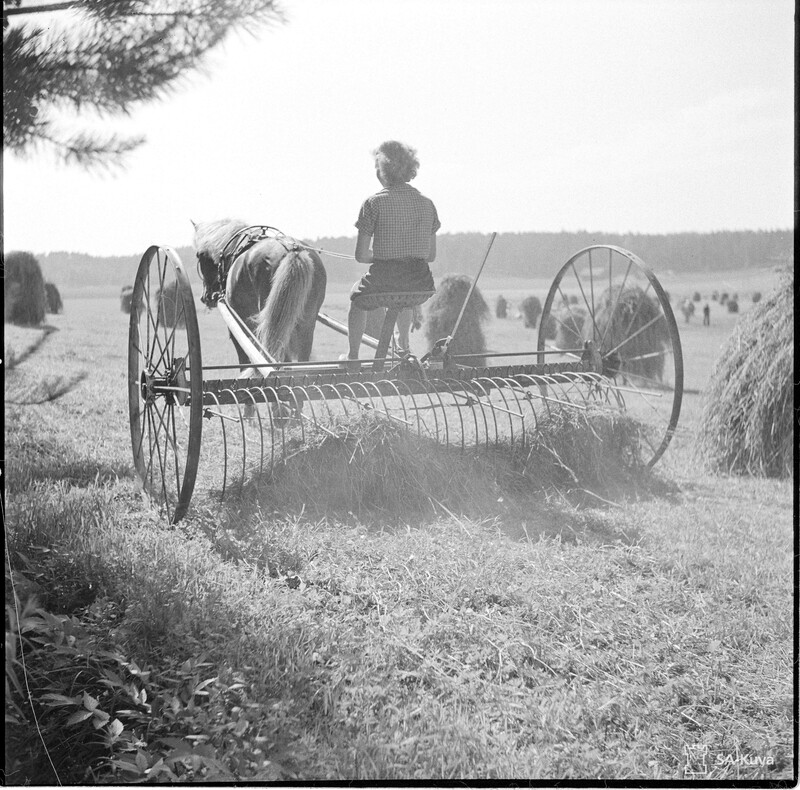 Most of all, I think Marianne has been able to capture the feel in her photos – how the Finnish people feel about their horse and what I feel when I’m with my horses. There’s a companionship between us that has lasted through generations, the title “national treasure” is not an exaggeration. Still, the finnhorse is not just some relic, it has been able to take up any challenge it has faced and redeemed itself again and again. Adaptation is the key! Kirjakaari is a Finnish publisher specialized in high-quality gift books. I could imagine this book both as a business gift as well as a gift for a horse enthusiast, especially if he/she is interested in the Finnish culture overall. The book is available in English and Finnish at the Kirjakaari web shop. Remember to use the code MNB-LXF-CH7-4P9 for a 10% discount! (the code is available until 9th of December 2015). 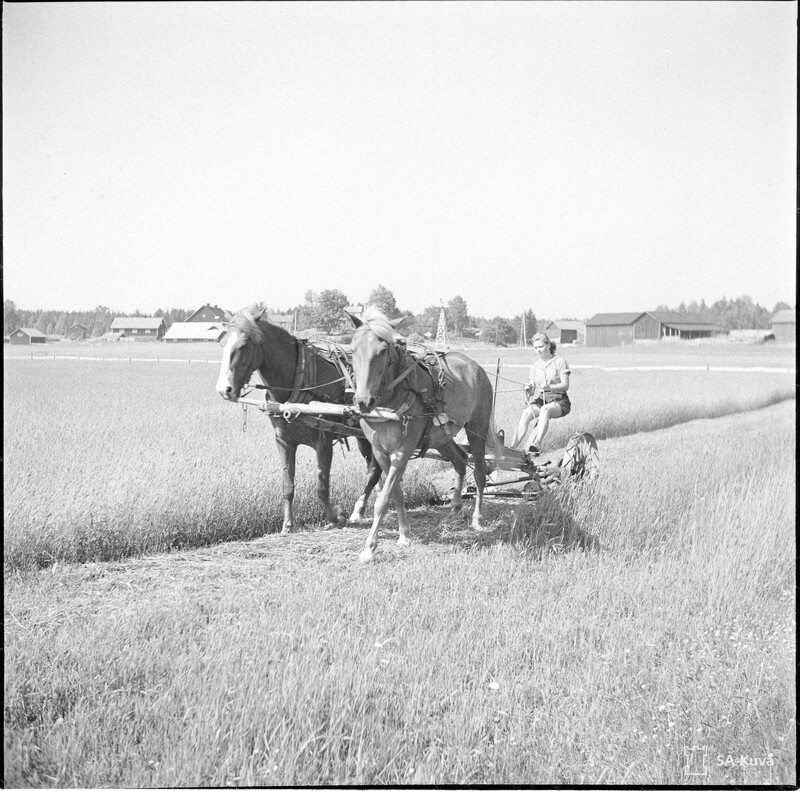 Categories: Art & Culture | Tags: coupon code, finnhorse, gift book, kirjakaari | Permalink. 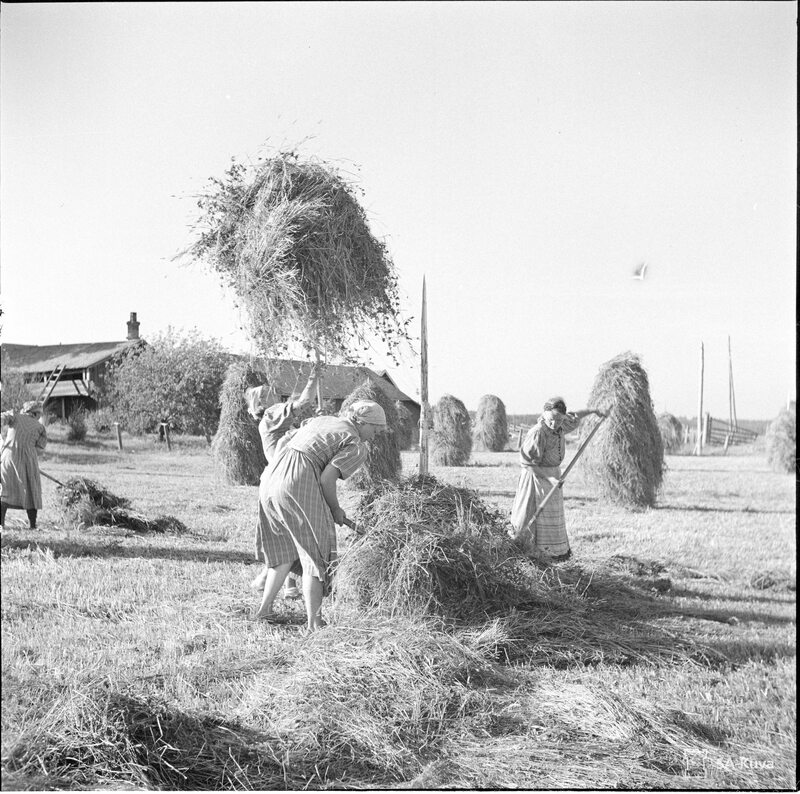 To celebrate this day, here are a few photos from the Finnish Wartime Photograph Archive, maintained by the National Defence University’s Production department. See more photos at http://sa-kuva.fi. 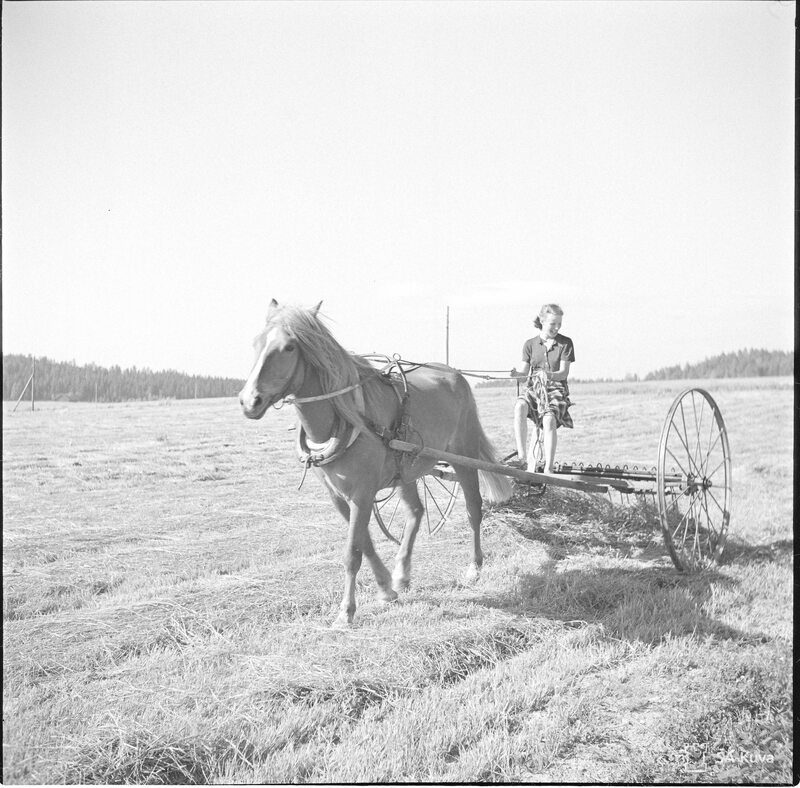 Categories: Art & Culture, Work horse | Tags: finnhorse, finnish wars 1939-45, international day of rural women | Permalink.